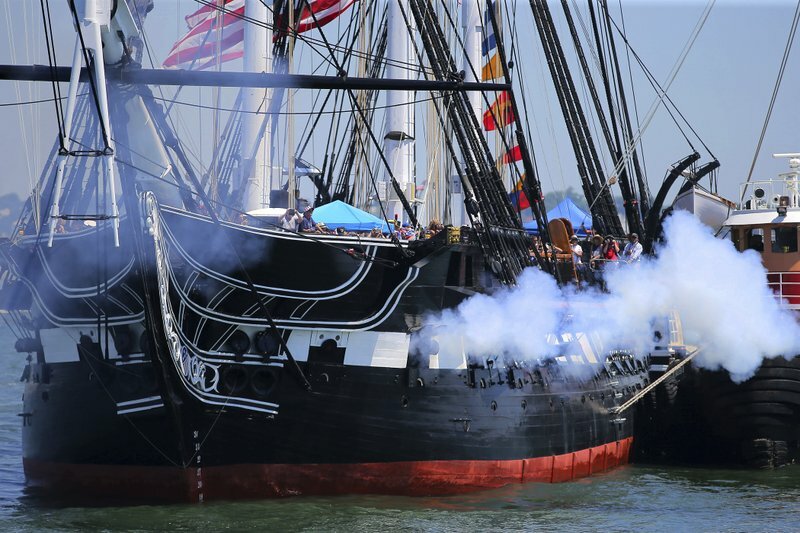 The USS Constitution has sailed in Boston Harbor and fired her guns again to mark Independence Day. [post_ads]The world’s oldest commissioned warship still afloat left its berth at the Charlestown Navy Yard Wednesday morning and glided through the harbor to mark 242 years since the signing of the Declaration of Independence. 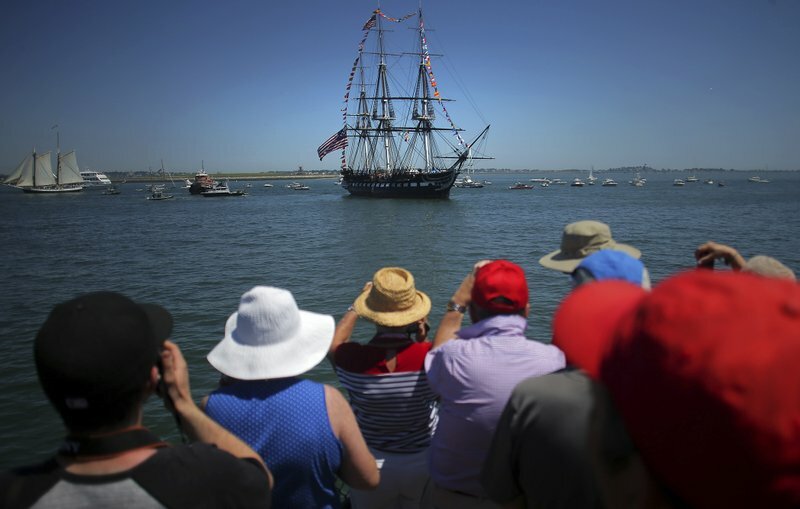 The ship nicknamed “Old Ironsides” traveled to Fort Independence on Castle Island to fire a 21-gun salute. The ship’s commander saluted the crowds gathered there. A Navy sailor on board recited the Declaration of Independence during the cruise. An additional 17-gun salute was fired as the Constitution passed the U.S. Coast Guard Station on its way back to the Charlestown Navy Yard. The station is the former site of the shipyard where the vessel was built in 1797.